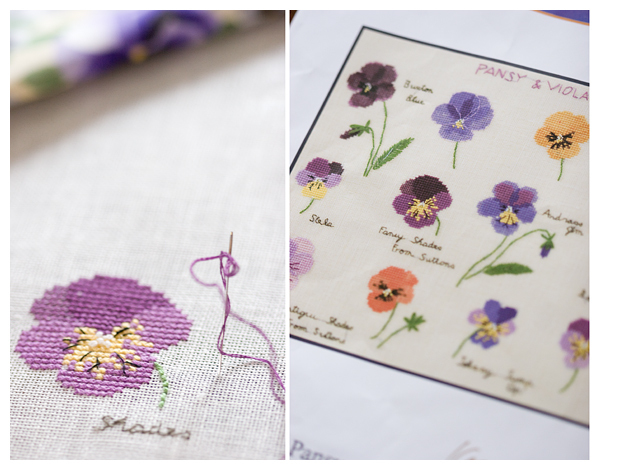 Kazuko Aoji "Pansy and Viola"
Oh what an interesting new project - so different to all you stitched before. But again it seemed to become wonderful. This is very beautiful! I am so glad I found your blog. Oh, that's going to look very pretty! Once again, I'm in awe - of your project and photography! ммм... Какая цветочная красота ожидается! What a very pretty start! What a lovely flower! Looking forward to seeing the project finished. It's looking very nice. That is a great start! Bonjour voici un projet qui annonce le printemps ;-) Nathalie. Тонкая вышивка! Это 40 лен? ooo labai gražu Loreta, tikras pavasaris Jūsų naujajame projekte :) super. This is a lovely spring start! Beautiful flowers and lovely colours - look forward to seeing more of this! These pansies are so pretty. как ты такие нежные чудеса находишь??? Прелесть! Ты весь сэмплер шить будешь или только выборочно? Очень красивый! This project looks adorable. 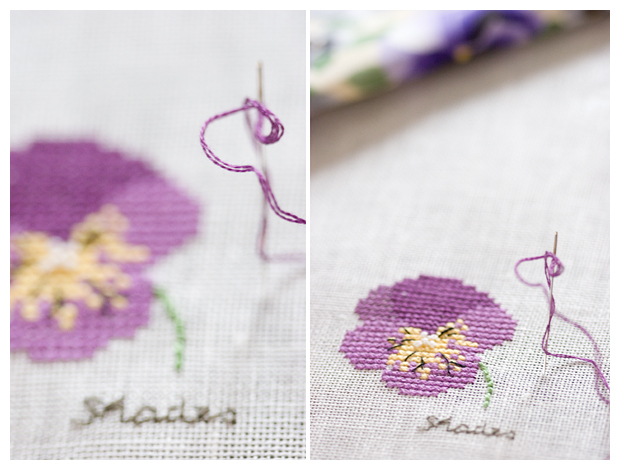 I love these little flowers and I'm looking forward to seeing your progress on it. Fantastiškas darbas ir mėgstamos gėlės! 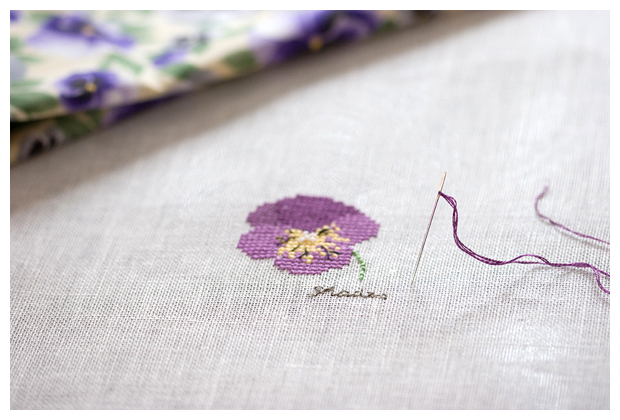 I kwow kazuko aoki sewing your blog! i like very very much...can you tell me where i can buy charts or books of this gorgeous designer?? many kisses and many congratulations for your wonderful blog!